Which teams could round out the playoff picture in the East? Well, the King isn’t actually dead. He’s very much alive. LeBron James is in Los Angeles with the Lakers. He’s just no longer with the Cleveland Cavaliers for a second time in his NBA career after leading the Cavs to four straight NBA Finals and a championship. Like they did in 2010 when James took his talents to South Beach, the Cavs begin the post-LeBron era anew and hope this time turns out better than it did last time. In the four seasons when James was with the Miami Heat – let’s call it the InterLeBron Period – the Cavs averaged just over 24 wins a season and missed the playoffs in every year. Sure, you could argue that said failure also led to three lottery wins resulting in Kyrie Irving and the pieces to acquire Kevin Love (Anthony Bennett and Andrew Wiggins) that set the table for LeBron’s return and the franchise’s first title in 2016, but there will be no third act for LeBron in Cleveland. Nearly 34 now, James isn’t returning from the west coast and this separation is a permanent one. Ty Lue and the Cavs must make a fresh start. But it doesn’t seem like everybody wants a new beginning. Tristan Thompson is perfectly fine with the status quo...even if such a thing doesn’t exist anymore. As camp opened last month, the Toronto native gave his view of the Eastern Conference landscape and his reality seemed to be as specious as the kind peddled by the Kardashian family every Sunday night. "We're still four-time Eastern Conference champions, so until you take us down from that, teams ain't got much to say," Thompson said as he pointed to the four Eastern Conference Championship banners at the club’s practice facility. "Boston, Philly, they ain't got much to say. Boston had home court Game 7 and lost. Philly, you guys almost got swept. Toronto -- we already know that story. Until someone takes us down there's not much they can really say." Already young and hungry, the Celtics welcome back the injured Irving and Gordon Hayward to a team loaded with talent seemingly everywhere. The gifted Sixers are a year older and now playoff-tested. The Raptors rolled the dice and added Kawhi Leonard, now arguably the best player in the Eastern Conference. Thompson’s confidence would be admirable if the gulf in talent between his Cavs and the three teams he dismissed weren’t so stark. Now, that isn’t to say the Cavs are untalented because that’s far from the truth. The likelihood of the team becoming bottom feeders like they did the first time the best player in the game up and left is low because the incumbent players remaining behind are skilled and experienced, just not to the level of the East’s beasts. But with the East as top-heavy as it is (I guess the NBA itself is pretty top-heavy, in general), there is a path for the Cavs to return to the postseason. For the first time since leaving the T-Wolves, Love has the opportunity to once again be the man. Now 30, Love becomes the Cavs’ primary scoring option as the only remaining member of the triumvirate alongside James and Irving. It would be foolish to expect Love to post the kind of garish numbers that he did in the Twin Cities (in his last season there, he averaged 26.1 points and 12.5 boards a night), yet it’s important not to forget what he’s capable of doing on a consistent basis. A career .444 shooter, Love has relied on an outside shot more and more as he’s gotten older. And that’s fine when you were .415 from three a year ago, but Love will need to rediscover his inside game – something he’s eminently able to do – in order to reassert himself as a primary scorer. A healthy Love firing on all cylinders is something that the East has yet to experience and that alone could be enough to buoy the Cavs to relevance in a division that seems to now belong to the Milwaukee Bucks and Indiana Pacers. The man now tasked with setting the table for the Cavs could be rookie Collin Sexton, taken with the eighth overall pick out of Alabama. Flashy, but durable, Sexton appears to be a natural playmaker, something the Cavs sorely need in LeBron’s absence. Speedy and unafraid of contact, Sexton isn’t necessarily a pass-first point guard in the vein of, say, Ricky Rubio, yet his ability to distribute in transition could make him indispensable to the Cavs offence in a hurry. Sexton will likely start the season on the bench behind the dependable George Hill, but could force his way into more minutes if he performs with the second unit. Rodney Hood is another player who stands to benefit in LeBron’s absence, provided that he’s allowed to. When Hood came over last season from the Utah Jazz as part of the Cavs’ pre-deadline roster explosion, it never seemed like the Duke product looked settled in a Cleveland uniform. At the time of the deal, Hood was averaging a career-best 16.8 PPG, but that dropped greatly upon the move. Whether it was simply an inability to get on the same page as James or a level of unease with the player from Lue, Hood dipped to 10.6 PPG in Cleveland even as his actual minutes didn’t decrease drastically, from 27.8 to 25.3. In the playoffs, the dropoff was even more dramatic. Hood was a virtual nonfactor for most of the posteason, averaging only 15.3 minutes a night and getting into a dispute over playing time with Lue during the second-round series with the Raptors. But his playoffs ended on a high, even if the team’s didn’t, by putting forth his best showing in Games 3 and 4 of the Finals. If there was an unfamiliarity between Lue and Hood, that’s gone now as the fourth-year coach expects Hood to slot in just behind Love in terms of offensive output. Ideally, Hood comes into the season with a chip on his shoulder, ready to prove that the first half of last season in Utah was only a taste of the heights he’s capable of reaching. And if his players have something to prove this season, then so does Lue. Mocked incessantly over his tenure as Cavs bench boss for being nothing but a paper coach while LeBron drew up the X’s and O’s in actuality, Lue has the opportunity to put his stamp on this team as the Cavs try to reinvent themselves. There are no championship expectations for Lue here now and the pressure cooker that was his first three years in charge has its lid off, giving him some time and leeway to experiment and find the right combination of players and minutes allotment to creep back up on the Eastern Conference. If Lue is able to get the Cavs into the playoffs the season after the departure of the game’s best player, there would be more than a few Coach of the Year votes heading his way. Whatever happens for the Cavs this season will be interesting, but likely far away from the spotlight that LeBron commands and to which Cleveland has grown accustomed. And that won’t be a bad thing. There should be a looseness about these Cavs that shouldn’t be mistaken for disinterest. There is too much talent here to sleep on and it would be foolish for a team rolling into Quicken Loans Arena to expect an easy night. 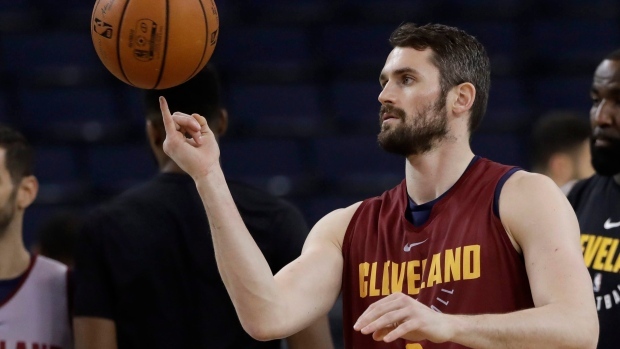 While it won’t dominate the headlines, the Cleveland Cavaliers carving out a new identity will be an absolutely fascinating storyline to follow this season.